My Whole30-friendly cold matcha latte made with coconut water, collagen, matcha, and non-dairy creamer is my fave new morning drink! Move over coffee, here comes something greener! Have you ever been stuck in a unproductive and unfulfilling relationship, but you kept at it because you were too lazy to kill it? That’s how I felt about my hot-and-cold love affair with coffee. I adore its taste—to me, there’s nothing quite like a creamy glass of cold brew on the rocks—but I can no longer ignore the fact that I get really jittery whenever I drink coffee. It’s been like this for years, but I just ignored it. (This is not unlike how I used to dismiss all my pre-Paleo joint pain and GI distress as “normal.”) The final nail in the coffin was hammered in when I checked my 23andme DNA results recently, and saw that I have a genetic variation in the enzyme that metabolizes caffeine—one which results in the stimulant sticking around longer in my system than in most other people’s. A-ha! That’s the reason for my jitteriness! Armed with this knowledge, I dumped the coffee…and picked up a new matcha habit. My new breakfast boo? Cold Matcha Latte! But wait: doesn’t matcha contain caffeine, too? Yeah, but there’s less caffeine in matcha than in coffee. 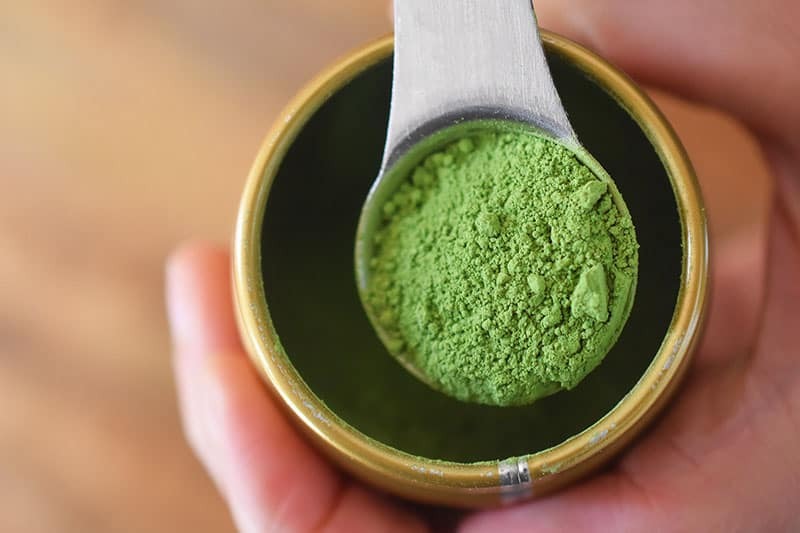 Plus, matcha contains a compound called L-theanine that’s supposed to exert a calming effect, coupled with increased alertness. Personally, when I drink matcha, I never feel anxious or restless. Instead, I’m able to focus on whatever task I have on hand without freaking out about all the stuff on my to-do list. Win-win! 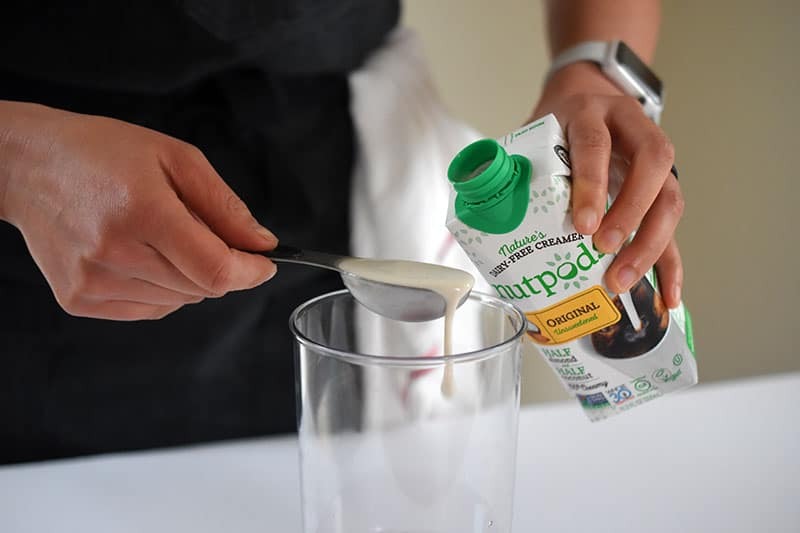 I also add a heaping scoop of easily dissolvable unflavored collagen peptides to my morning matcha latte, which gives my green drink a nice creamy texture and can help with gut, skin, and joint health. This aging mommy is happy to get any help she can get in those last three categories! 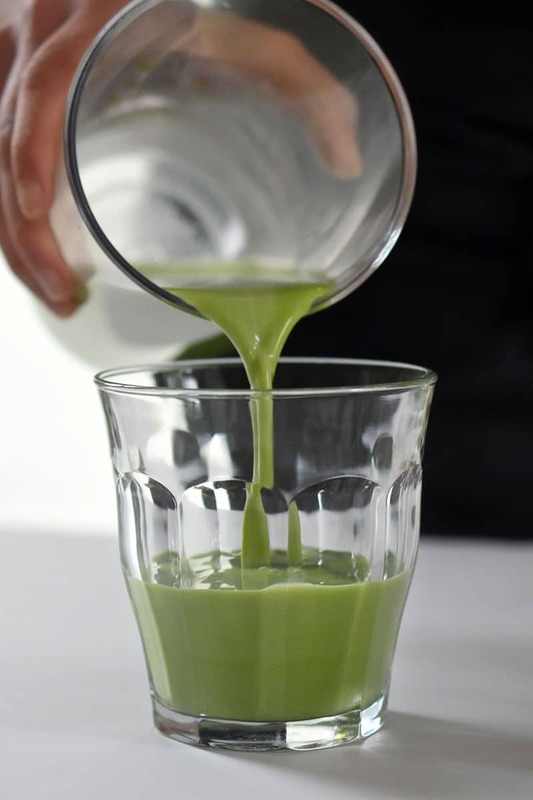 Start by reading these great articles about gelatin/collagen, and matcha. 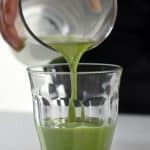 Matcha mixed with hot water can have a grassy, vegetal flavor loaded with umami; while the taste is not for everyone, I—and most people I know—happen to adore it. When it’s blended into a latte drink, the grassy matcha flavor is muted, and you end up with a tasty, creamy green beverage. Personally, I dig this brand of matcha online—but I also buy cans of matcha at my favorite tea shop and at Japanese markets. I was gifted a tin of this ultra high-end matcha that might make a fab present for someone special in your life (like yourself!). 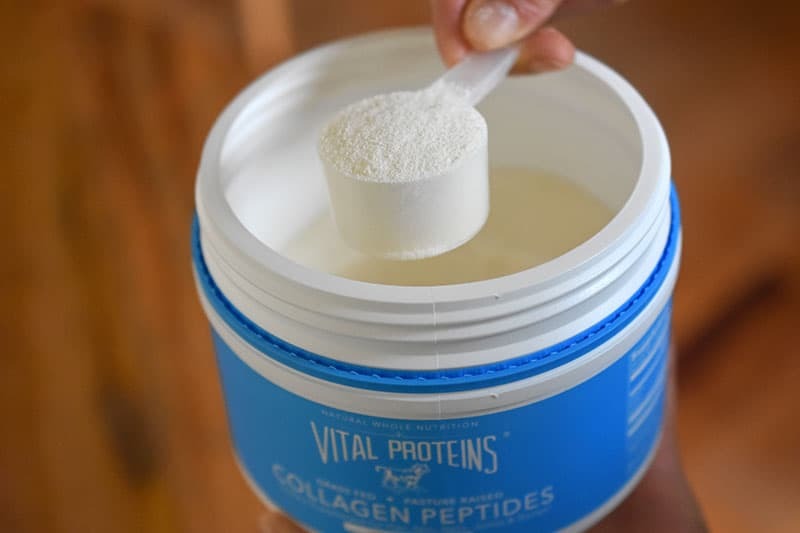 Make sure you procure a high-quality collagen peptides derived from grass fed animals. (I like this one.) And no, it doesn’t make your drink taste beefy. 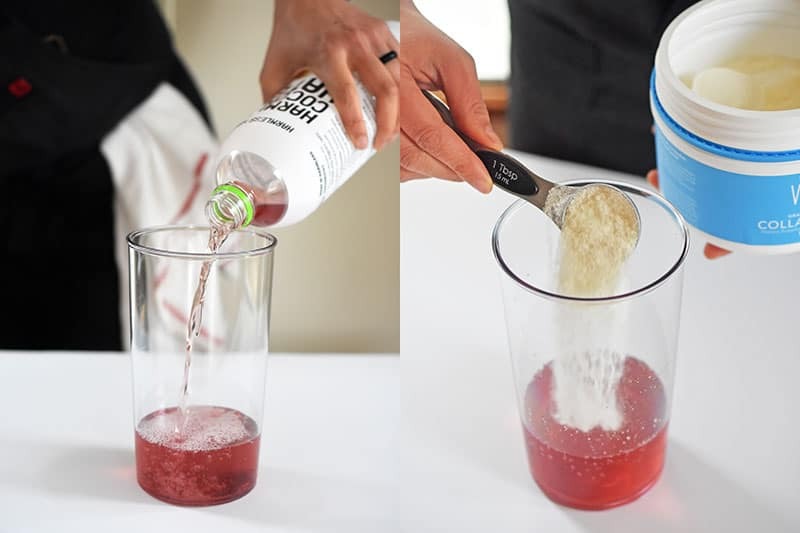 Also, make sure you buy collagen peptides for this recipe—not gelatin—because you want it to dissolve in cold liquid. I’ve recently been switching out the non-dairy creamer for plain coconut yogurt. I love the tang, richness, and added benefit of probiotics. My favorite brands are: Coyo and Anita’s Coconut Yogurt. Psst! You can make this a hot matcha latte by heating up the coconut water first! Okay. Enough chit-chat. Ready to make my Cold Matcha Latte part of your morning ritual, too? …and place it all in the cup of your immersion blender. 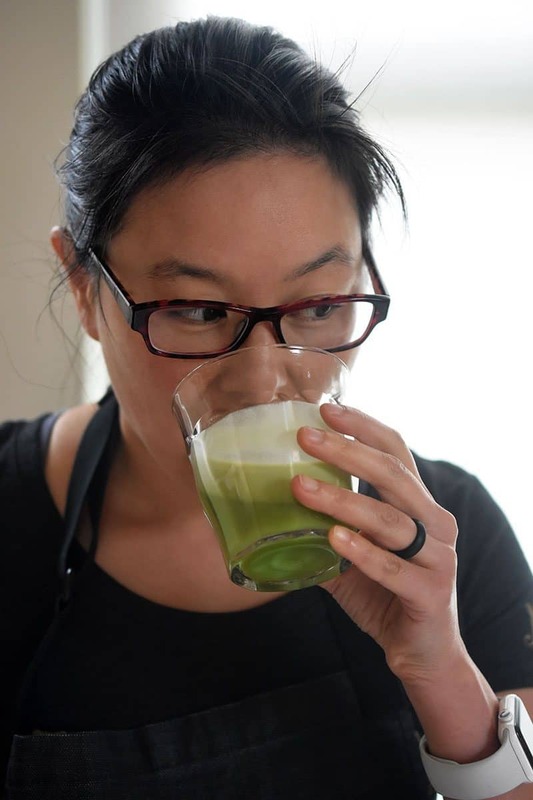 Wanna check out the replay of me making the Cold Matcha Latte and Sunnyside Salad (a.k.a. Brinner) on my Facebook Live broadcast (recorded on May 10, 2017)? Move over coffee, here comes something greener! My Whole30-friendly cold matcha latte made with coconut water, collagen, matcha, and non-dairy creamer is my fave new morning drink! 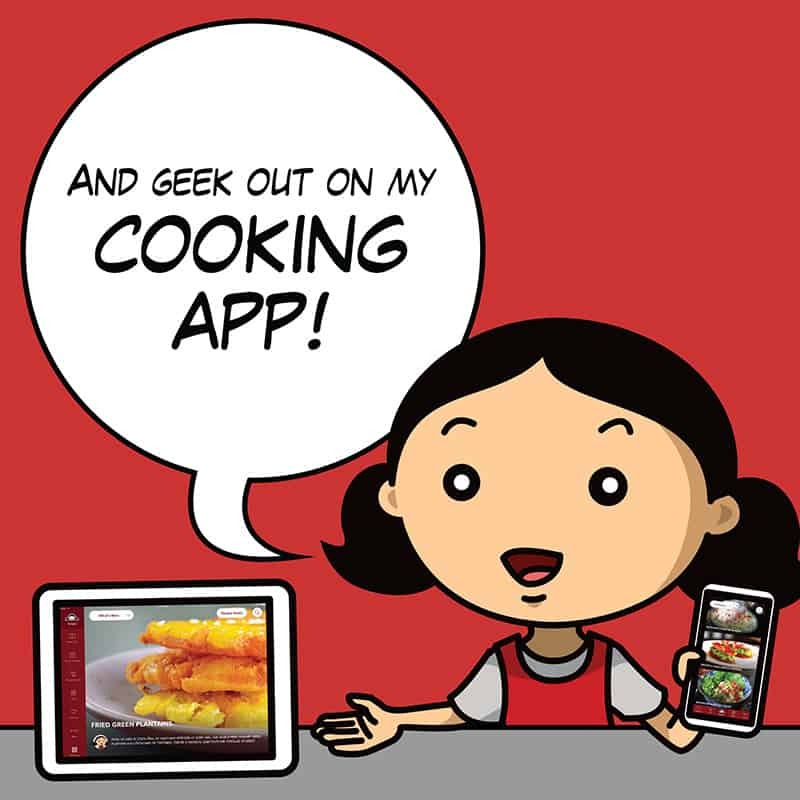 Grab your immersion blender and blending cup. Measure out the coconut water, collagen peptides, non-dairy creamer, and matcha and place it all in the cup of your immersion blender. 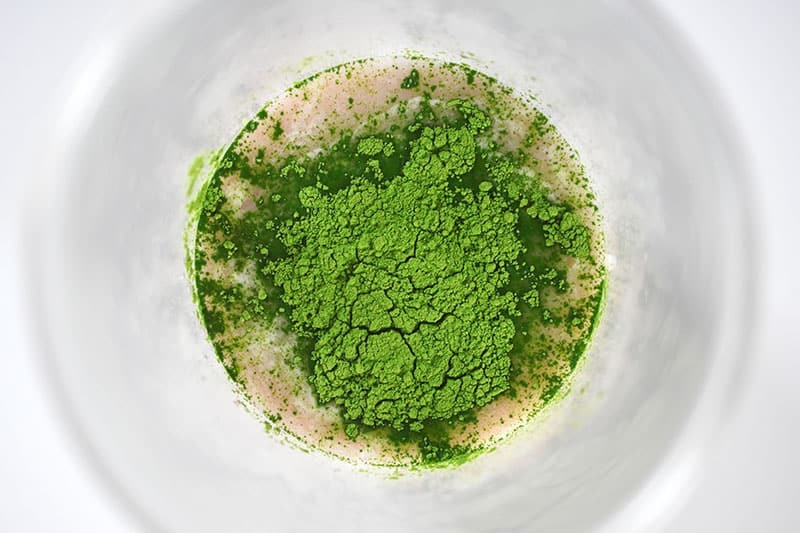 Matcha mixed with hot water can have a grassy, vegetal flavor loaded with umami; while the taste is not for everyone, I—and most people I know—happen to adore it. When it’s blended into a latte drink, the grassy matcha flavor is muted, and you end up with a tasty, creamy green beverage. Personally, I dig this brand of matcha online, but I also buy cans of matcha at my favorite tea shop and at Japanese markets. I was gifted a tin of this ultra high-end matchathat might make a fab present for someone special in your life (like yourself!). You can make this a hot matcha latte by heating up the coconut water first!